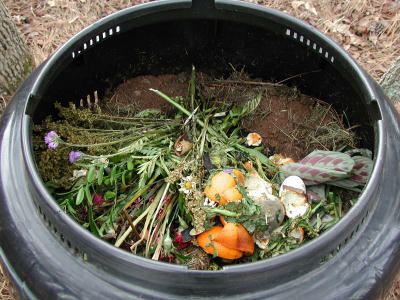 Backyard composting is an attractive, simple method of managing organic waste at home. It adapts to fit individual lifestyles, incomes, yard sizes, and ambitions. Backyard composting can be performed by a variety of methods. Typically, these include placing materials in open piles, burying materials in pits or trenches, and enclosing materials in drums or bins (e.g., holding bins, turning bins, and worm bins). 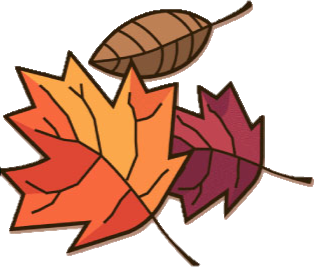 In order to heat up properly, compost piles should be at least one cubic yard in size. This provides the minimal insulation required to sustain the high temperatures in the core of the pile. Composting bins can either be commercial units or simply constructed from inexpensive materials with little carpentry skills. Start the composting process with 50% green and 50% brown materials cut into pieces no larger than 1 inch in size. Mix and add water every 7-10 days. 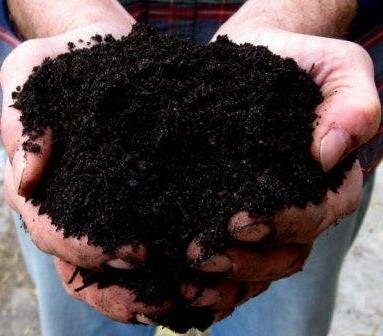 Your compost is ready to use when it is dark brown, crumbly, and smells like fresh turned soil. The compost produced is an excellent soil conditioner. It enhances the structure of soil by binding soil particles together. This improves aeration and helps soil retain water and nutrients. Compost also improves drainage in clay soils and water retention in sandy soils. Compost improves the buffering capacity of the soil and minimizes adverse effects to plants due to extreme shifts in soil pH. Adding compost to soil also attracts earthworms, which aerate and add additional nutrients to the soil. Compost can store nutrients and release them slowly for use by surrounding plants. Although highly beneficial for soil, most composts are not considered fertilizers because they lack the amount of nitrogen to be classified as a fertilizer. Here is a Fact Sheet.